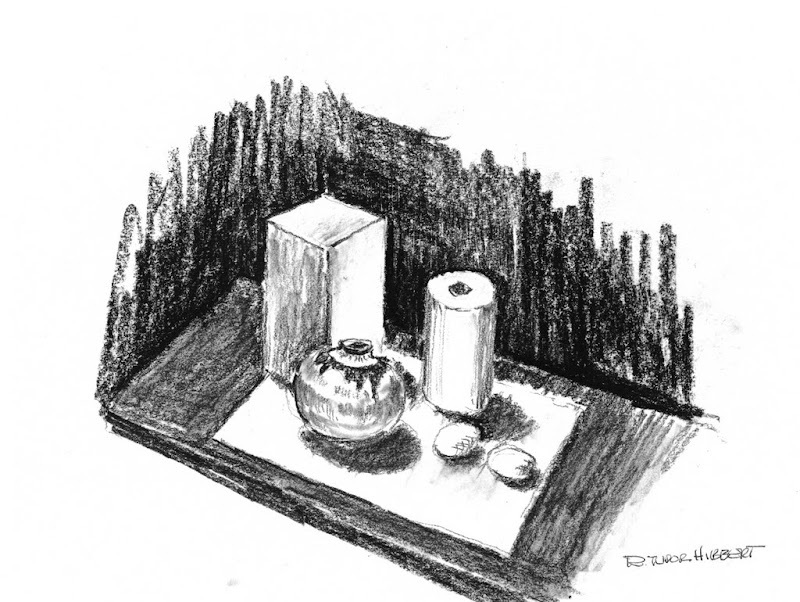 Fat vase, paper towels, rectangular block and carved stone eggs. Two colors of charcoal. Compare this to Fat Vase and Paper Towel Roll, which is arranged differently, and is missing the rectangular block. February 1995.